According to a CDC survey, over 96% of Americans would like to share their medical history with their immediate family. 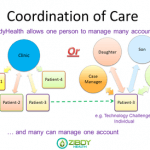 With ZibdyHealth, users gain ownership of their medical records and the ability to share them with anyone. San Diego, July 28th 2015 – Zibdy, Inc. announces the launch of their secure and free DIY tool within ZibdyHealth application to consolidate medical records (http://www.zibdy.com) using Microsoft Azure. Following the Supreme Court decision to uphold the Affordable Care Act, Zibdy, Inc. has announced that their platform – ZibdyHealth – addresses and provides a solution to a key goal of the ACA and HITECH act – consolidation and exchange of Electronic Medical Records (EMR). Given that patients often have records located in 5 or 6 patient portals, medical record consolidation is an important challenge which ZibdyHealth has now addressed in their free application. The Office of National Coordinator and U.S. Department of Health & Human Services have spent billions on promoting interoperability among EMR software from different vendors without much success. Now, ZibdyHealth’s DIY tool which allows users to upload EMR records as a Continuation of Care document (CCD) from any healthcare provider to their account in ZibdyHealth, and combine that with data in their ZibdyHealth account. The users can then send it to any care provider they choose – as a BlueButton+ complaint EMR document which can then be uploaded into any EMR, thereby creating a personal health information exchange (HIE). It will work with any top tier EMR vendors’ CCD. Thus providing a key tool which can coordinate a patient’s care between doctors, hospitals and caregivers. About 350 million people have EMRs available in this world so what happens to the rest? ZibdyHealth has also created a proprietary dataset and algorithms to create personal and family medical history for people who have no EMR. This health record can be generated without any interaction with their physician. In such cases, ZibdyHealth becomes a global personal health record (PHR), allowing users to build, manage, and share their medical history (www.zibdy.com). 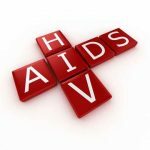 As ZibdyHealth is free – and provides it’s “CCD Transfer” service for free, the application will be of assistance to anyone who undergoes transition of care. This includes mothers of newborn babies coming home after delivery, elderly patients moving between hospital care and a convalescent home, or anyone who simply has to see more than one medical professional. ZibdyHealth has many other features besides medical history consolidation as it has a goal to address all healthcare needs in ONE simple application. One can record vaccinations, vitals, lab results, allergies, medications, and of course medication reminders. It offers a full range of features to act as a PHR where EMR technology is not available. 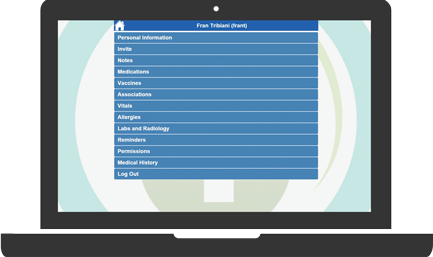 Our application, ZibdyHealth, consolidates data from EMRs with user-entered information and family medical history – and then gives the ability to share this consolidated knowledge with specific individuals based on permissions set by the ZibdyHealth user. Thus, the application provides a more complete health picture to treating physicians and care providers, important for both the patient and the provider. ZibdyHealth wants to help you take advantage of the power of EMRs – and take back control of your health. Learn more at www.zibdy.com.